The weather out here has been bitter cold and snowy, and all the shades of white have crept into my life. For people who love color, this card can be a bit disappointing/overwhelming. But, I like how it turned out. 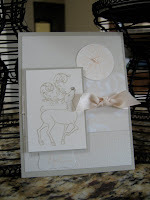 Recipe: the solid card stock is Sahara Sand and Shimmer white (Stampin' Up! 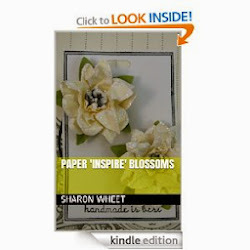 ), the textured card stock is Glass Slipper. The pattern paper is from the Christmas Mint collection. I used three different stamp sets for this card; Sleigh Ride, Poinsettia & Boxwood, & Signature Christmas. The reindeer was stamped in Sahara Sand classic ink, and the poinsettia and 'Noel' were stamped in Blush Blossom classic ink, both are from Stampin' Up! I adhered three tiny pearl halves onto the flower center, and a clear rhinestone for the reindeer's nose. The ribbon is from Paper Mart. 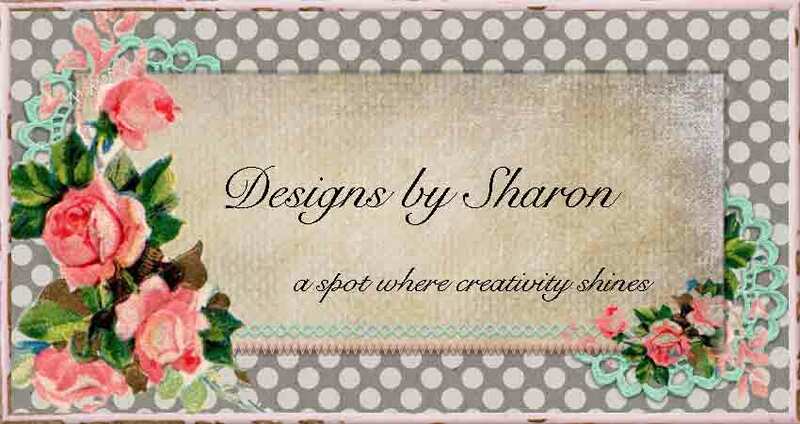 I used two punches from Stampin' Up!. The 1 1/2" circle punch for the flower and the curly label punch for the 'Noel'. Thank you for looking, and as always, comments really do make my day. May the joy and love you feel this holiday season extend to every day throughout the year, Merry Christmas.